While we wait for the first Powers trailer to hit at NYCC this weekend, the first teaser poster offers a fresh look at PlayStation’s superpowered crime drama. And based on the poster, the series will have a nice, dark, comic book-y feel to it. Sharlto Copley and Susan Heyward star as Christian Walker and Deena Pilgrim, two cops who specialize in cases involving “Powers,” or people with superhuman abilities. Hit the jump to see the first Powers poster. IGN debuted the Powers poster. 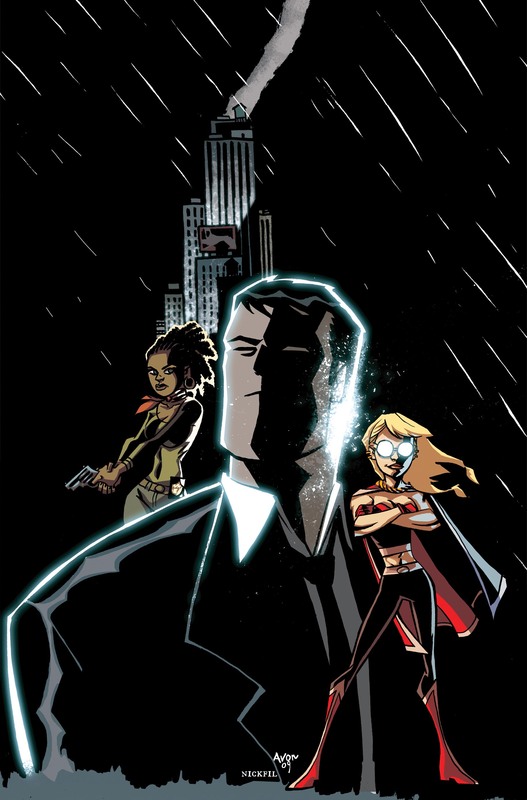 Powers is based on a comic book by Brian Michael Bendis and Michael Avon Oeming, and the stark, high-contrast poster art clearly calls back to the source material. Compare it to this cover, for example. The images we’ve seen so far don’t look quite like this, but it’s still nice to see Powers nod to its roots. In a nutshell, “Powers” is an edgy dramatic series that follows the lives of two homicide detectives, Christian Walker and Deena Pilgrim, who are assigned to investigate cases involving people with superhuman abilities, referred to as Powers. Set amidst today’s paparazzi culture, “Powers” asks the questions, what if the world was full of superheroes who aren’t actually heroic at all? What if all that power was just one more excuse for mischief, mayhem, murder, and endorsement deals? Enter the men and women of the Powers Division, the brave people in charge of protecting humans like us and keeping the peace with these over-paid, commercialized, god-like men and women who glide through the sky imposing their power over the mortals who both worship and fear them. It’s a different spin on the superhero genre for sure, and a very intriguing start to the PlayStation Network’s push into original programming. Powers will debut in December with 10 episodes. Eddie Izzard, Noah Taylor, Olesya Rulin, Max Fowler, and Adam Godley also star.